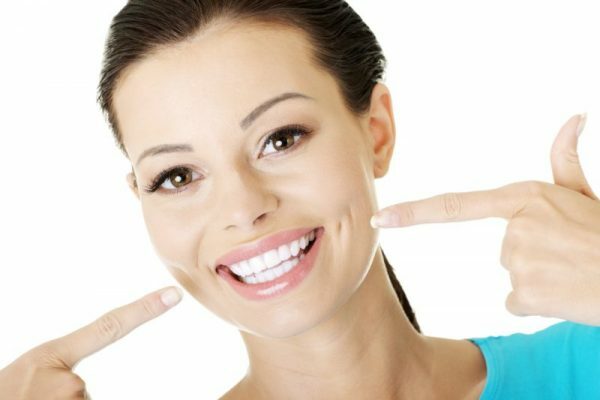 The dentists and hygienists at Adelaide City Dental Care are up to date with the best and safest techniques for teeth whitening. We ensure the best teeth whitening program is customised to your teeth and situation. Our most popular teeth whitening treatment is one which is performed in the comfort of your own home. It is a flexible treatment option which works around your availabilities, commitment and treatment outcome needs. We are seeing more and more people whiten their teeth. The only limit to teeth whitening is making sure your teeth and gums are healthy before committing to undertaking whitening, and natural teeth of course!! We see more and more older patients whitening their teeth after a lifetime of stain accumulation has discoloured their teeth. It is not “just for the young ones” as the lovely white, smiling photos would have you believe. We do caution patients with existing sensitivity they may need to perform some teeth desensitising prior to bleaching, as sensitivity management is an important part of teeth whitening. Teeth whitening requires an assessment by the dentist to ensure your teeth can be safely whitened. This involves an examination of the teeth and soft tissues of your mouth to ensure the peroxide will not cause you any problems. We will then take impressions of your teeth for our laboratory technicians to construct custom bleaching trays for your teeth. These trays are very small and are an exact fit to your teeth, minimising the bleaching material contacting your gums. We will then set aside time to show you how to use the bleaching material, check you can use the trays and provide you with all of the materials you require for treatment. This really is a simple whitening solution you will be away in no time. We will also take a shade registration to measure the colour change of your teeth over the duration of the whitening treatment. What makes a professional whitening agent better? At Adelaide City Dental Care, we use a locally made product which has a high success rate, high patient acceptance and meets our stringent quality assessment criteria. We prefer “Philips Zoom” whitening product as it is produced with inbuilt soothers and tooth conditioners to provide optimum comfort throughout the whitening process. The percentage of peroxide in each Zoom syringe is greater than any of the over-the-counter type products which tend to only whiten for a very brief period of time. The Zoom Day percentage is however, 9.5% which makes it safe for home use, but effective. Click on the following link for more information about http://www.philips.com.au/c-m-pe/teeth-whitening. Call our friendly staff on (08) 8212 3880 today to book your teeth whitening appointment at our convenient Adelaide CBD location just off Rundle Mall. Teeth whitening is normally between $500 and $600. This includes custom bleaching trays which you keep, all the bleaching material required and any care requirements you may have. Teeth whitening has been available for over 30 years. It is generally thought to be quite safe, however individual circumstances do vary. It is best to have your dentist assess your teeth before undertaking any kind of whitening procedure. Teeth whitening does dehydrate your teeth, which can make them quite sensitive during the whitening procedure. Does getting your teeth whitened hurt? Teeth whitening does dehydrate your teeth, so it can mean they are quite sensitive. This is normally short-lasting and disappears after the treatment is finished, however it can be alarming. Your dentist can advise you how best to manage or avoid tooth sensitivity during whitening. Can you whiten yellow teeth? All shades of teeth can be whitened, some more effectively than others. Peroxide is applied to the tooth and the tooth will absorb the peroxide, lightening some of the other colours present within the tooth structure. Each whitening result will be different as teeth are very much alive. Can I get my teeth whitened with Medicare? Medicare will not cover the cost of teeth whitening. Does insurance cover teeth bleaching? Some insurance policies will cover teeth bleaching. This depends on the level of your cover, and your individual fund. A dentist whitens teeth by custom-making trays which fit exactly to your teeth. You place the bleaching material into the trays and leave them in for a specified period of time. This can take between a week and two weeks to achieve the level of whitening you are happy with. A dentist is able to supply a stronger form of bleaching gel than the chemist or supermarket available products to ensure an effective whitening. Some difference will be noticeable after one or two applications, otherwise it can take several days to see some results. This is very dependent on your individual teeth.